In my research, I include old paintings and drawings for visual information on historical buildings, plants and food. 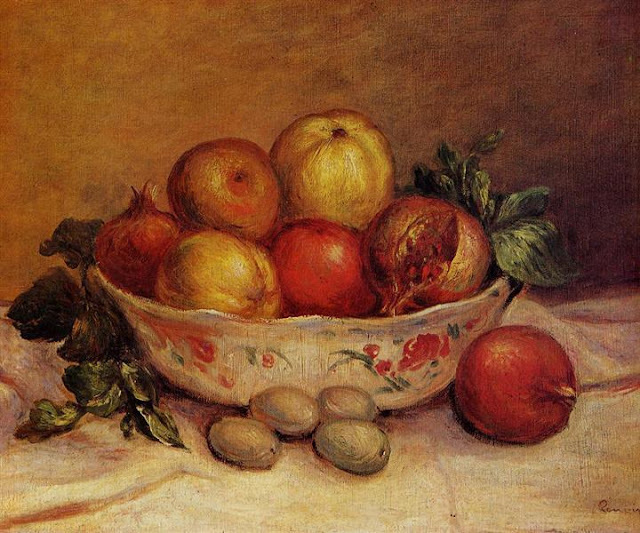 When I research food, fruit and vegetables, I like to study the works of early artists. 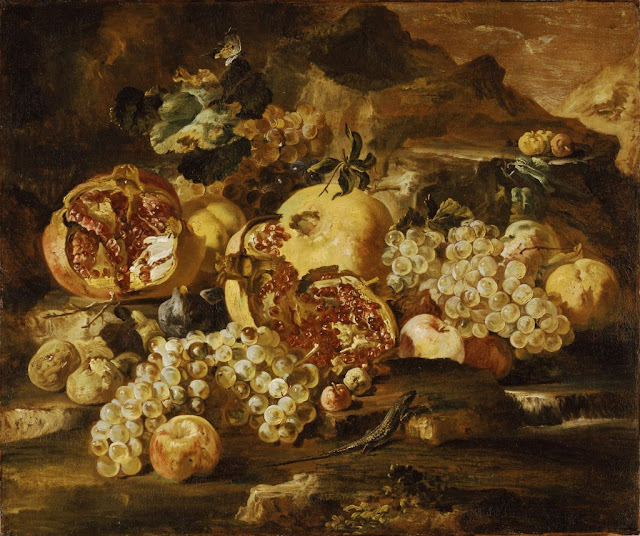 Where the still-life was painted, is good indication of where the fruit grew. 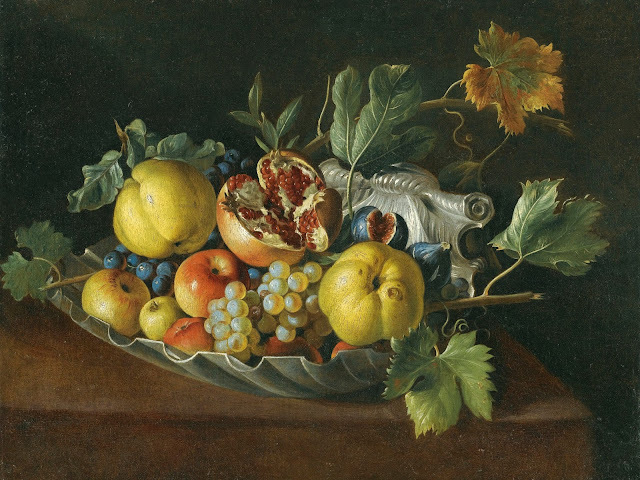 I enjoy the old masters and their interpretation of life around them. I found that the quince and the pomegranate were painted by a couple of the old masters around the Mediterranean area. 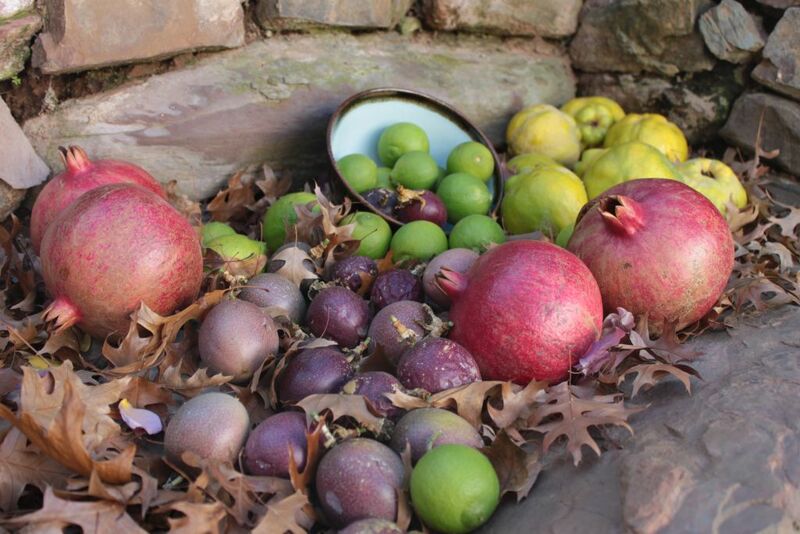 I can safely rely on the artist painting from life and creating the still-life subject in close proximity to where the plants, fruit or vegetables had grown. 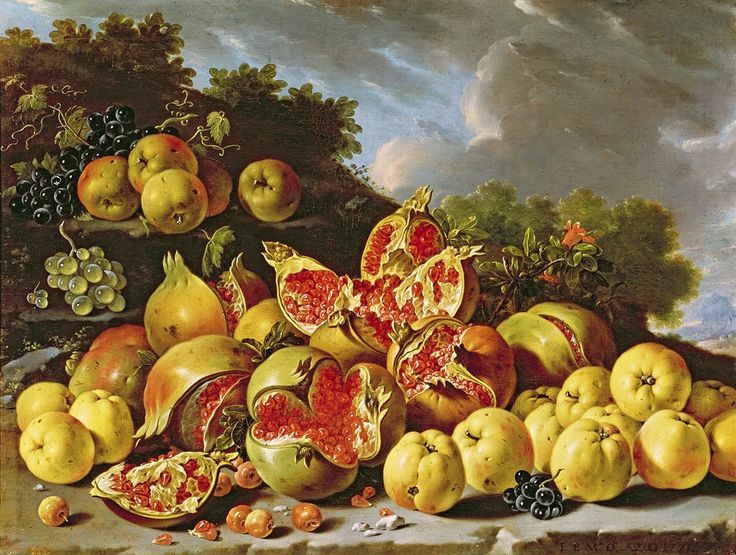 Still Life with Pomegranates and other fruit in a Landscape by Luis Egidio Melendez(1716-1780), oil on canvas, 1771, Museo del Prado,Madrid,Spain. 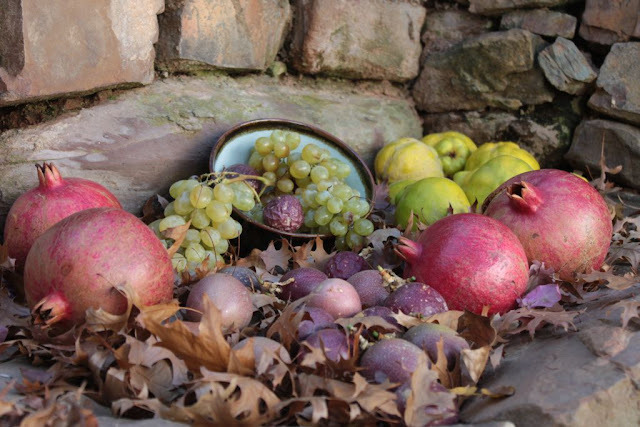 One doesn't often think of the visual beauty of the produce of the garden in this way. Another dimension of the experience. Thanks for the post. 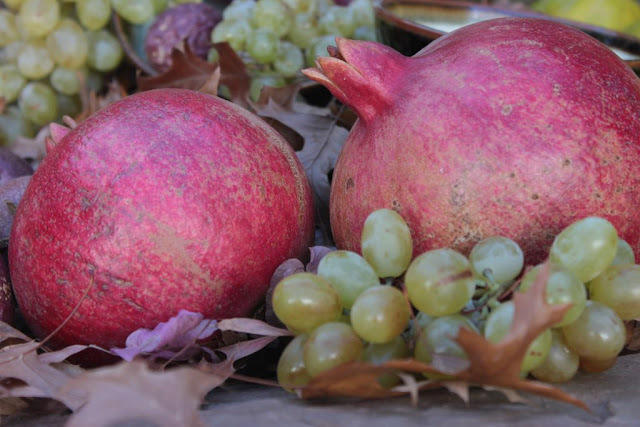 The informative Article on Pomegranates and its benefits is nice.